If you’ve made the decision to purchase a piano, or if you’ve inherited one from a relative or a friend, it’s wise to consider how you should maintain your instrument, and keep it sounding beautiful for years to come. Owning a piano is a privilege for anybody who enjoys playing, or listening to others play and practice. But like any instrument, there is a certain amount of piano care that goes into keeping the instrument in good condition, and maintaining it for years to come. One of the most important decisions a piano owner can make is deciding where to place the instrument. Pianos can be particular about humidity and sunlight, so be sure to take time to investigate where your piano should sit. Try to find a position that is out of direct sunlight, or is at least filtered from the harshest of the sun’s rays. Sunlight can hurt the piano’s finish, and it can negatively affect the sound by causing cracks and loosening of the tuning pins. A discussion of piano care wouldn’t be complete without the mention of humidity. Humidity is another consideration piano owners must confront. Pianos like a constant humidity of about 40 percent. Of course, we all know that humidity can vary from day to day, and season to season. That’s why many piano owners choose to invest in a dehumidifier and a humidifier in order to keep the household humidity constant, and at an optimal setting for the instrument. If you think investing in these devices is an expense you’d rather not incur, just consider the cost of replacing your instrument, or repairing problems associated with atmosphere damage. Most piano owners know that they should have their instrument tuned by a professional every now and then. What they may not know is that pianos should be tuned frequently – at least twice a year (or more if the piano is played frequently by multiple students). Your local music shop should be able to refer you to a reputable technician who can not only tune the instrument, but also troubleshoot or look for problems that an ordinary tuner might not catch. A good technician will also give you tips on proper usage and maintenance and other piano care tips, which could reduce or eliminate future problems altogether. As the owner of a piano, also want to keep your instrument looking good and clean. 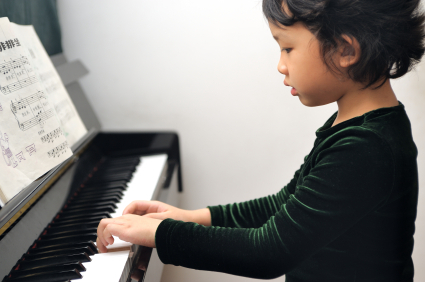 Children should be told to keep snacks and drinks away from the piano, and to practice only after they’ve washed their hands. Clean and dust the keys with a damp cloth at least once a week, and keep heavy decorations and plants off the piano. You don’t want to damage the piano finish or risk water leakage. If children will play your piano, it would be worth your while to take the time to show them how to properly play the instrument. Pounding on the piano keys is not good for the instrument, and there’s a difference between abusing the piano and playing with passion and gusto. In addition, children can be very hard on the piano pedals. Again, a quick lesson on how to properly use the pedals will eliminate any unnecessary wear and tear on them, and keep your piano in good working order.